AmazonSmile is a website operated by Amazon with the same products, prices, and shopping features as Amazon.com. 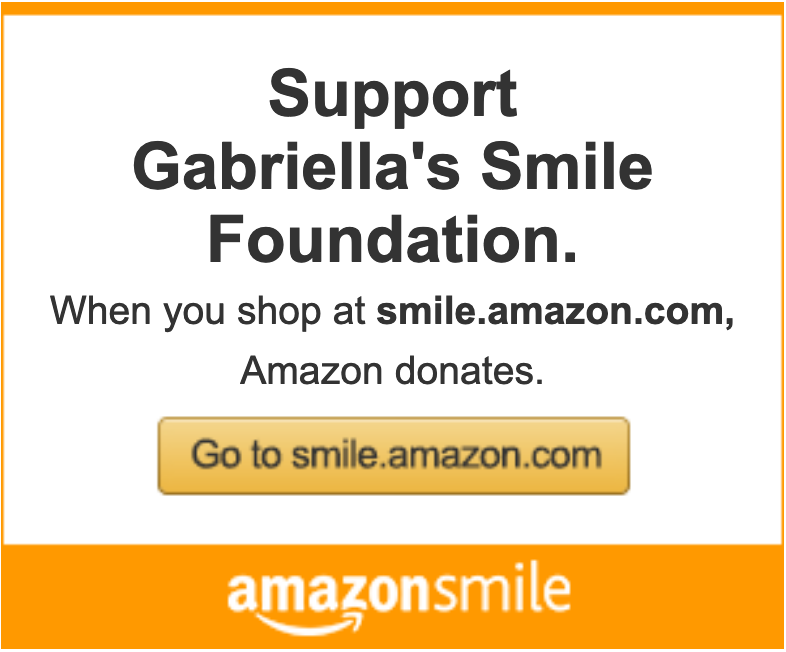 The big difference is this: when you shop on AmazonSmile using the link above, the AmazonSmile Foundation will donate 0.5% of the purchase price of all eligible products to Gabriella's Smile Foundation! Now, you can support us through the PayPal Giving Fund. PayPal Giving Fund enables everyone to easily support their favorite charities online. They receive donations through PayPal, eBay, and other technology platforms, and make grants to donors' recommended charities. PayPal Giving Fund is an IRS-registered 501(c)(3) public charity (Federal Tax ID: 45-0931286).